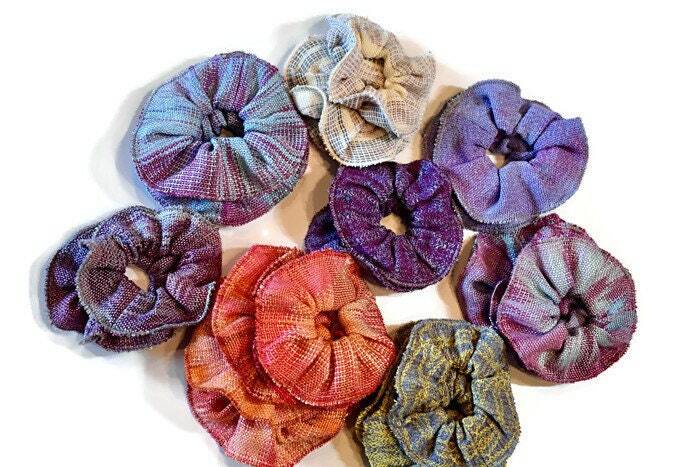 I made these hair scrunchies using some of my hand-dyed and handwoven fabrics. 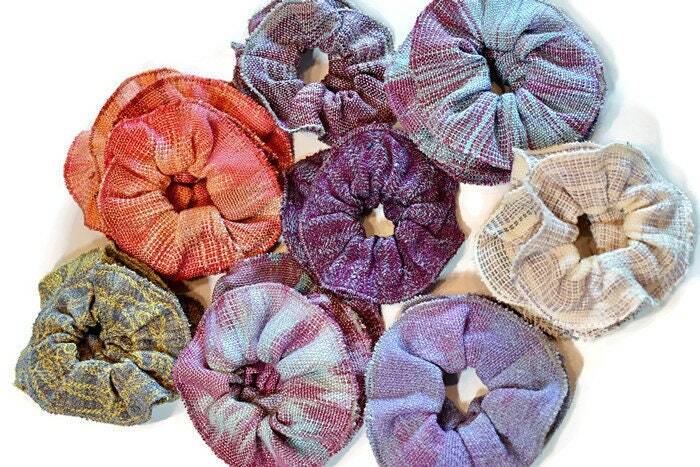 They are approximately 4" in diameter of the fabric around the elastic band. 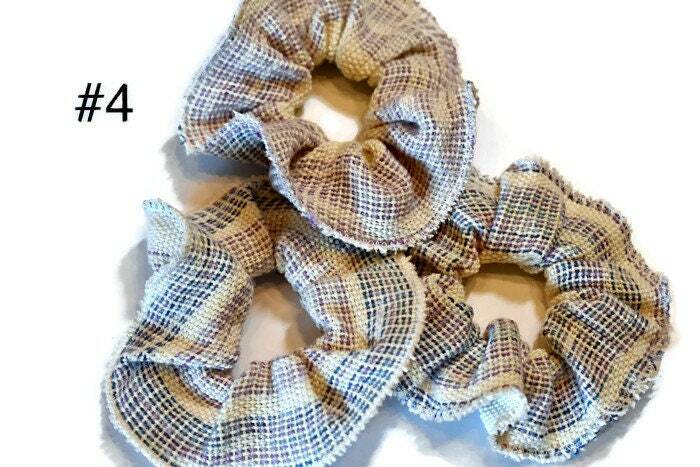 The first two pictures are of all the scrunchies. #1- colors are pink, mauve, and sky blue and the fabric is Tencel. 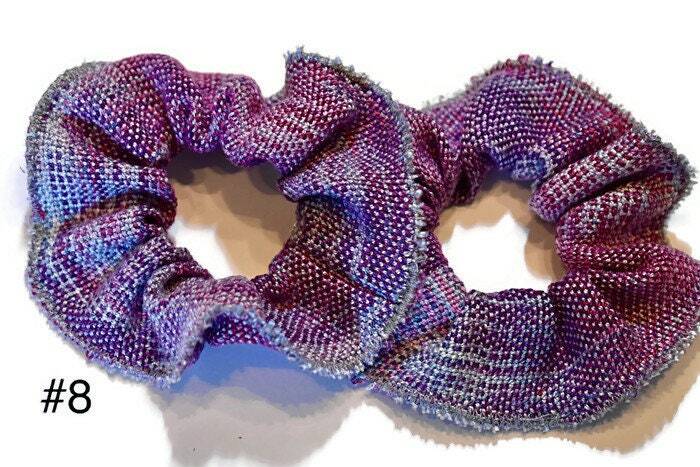 #2 - colors are purple and blue and the fabric is rayon. 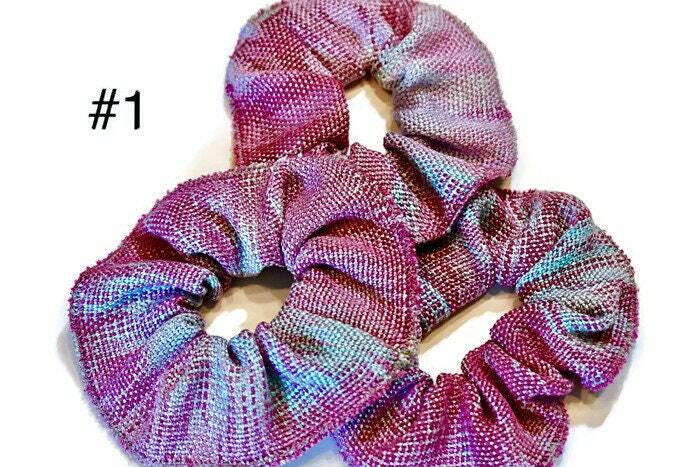 #3 - colors are blue-lavender and red purple and the fabric is cotton and rayon. 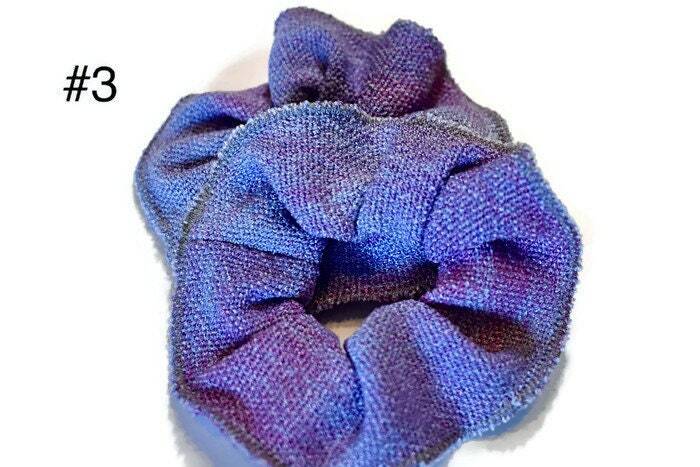 #4 - colors are natural, blue, and lavender and the fabric is cotton. 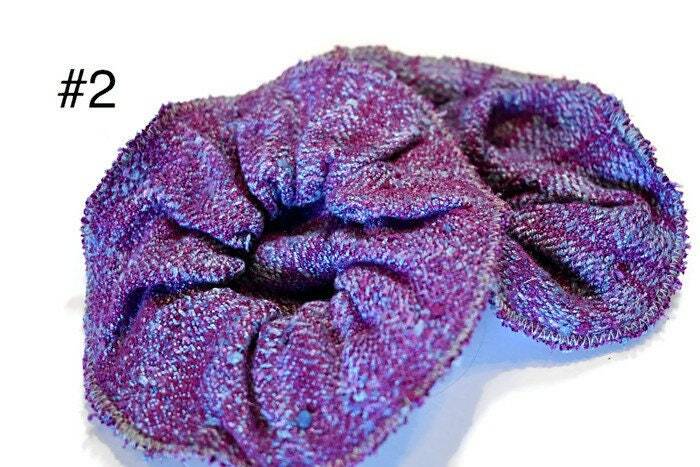 #5 - colors are turquoise, lavender, and mauve and the fabric is Tencel. 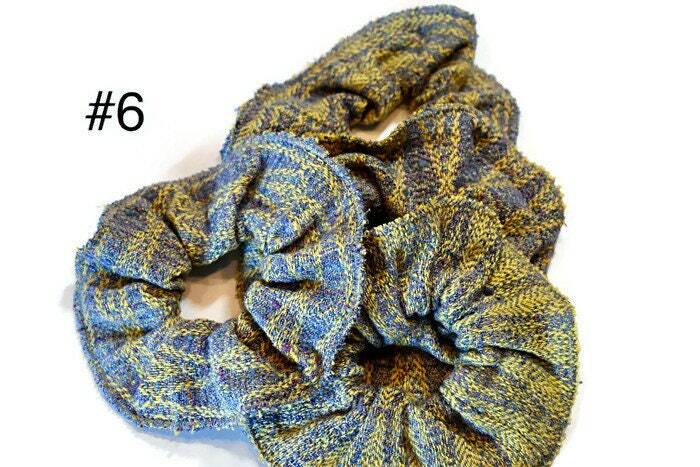 #6 - colors are yellow, blue, and purple and the fabric is rayon and cotton. 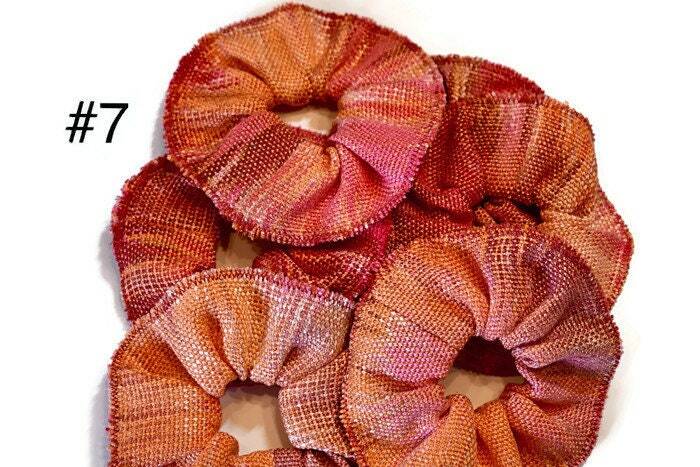 #7 - colors are orange, peach, pink, and red and the fabric is Tencel. #8 - colors are purples and grey and the fabric is Tencel. Beautiful! 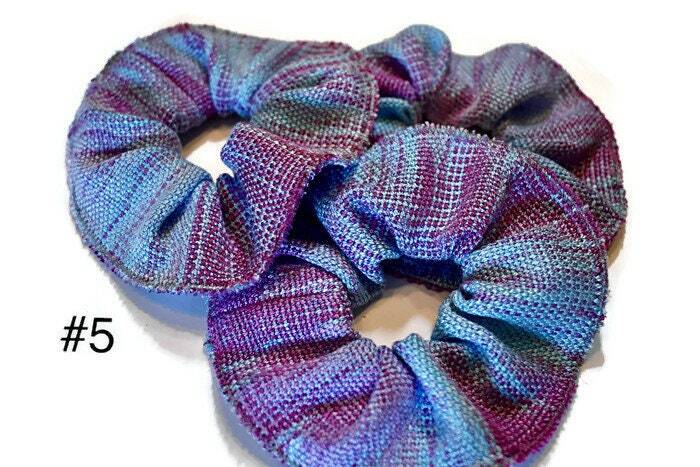 I love the fabric colors and texture!